Print. 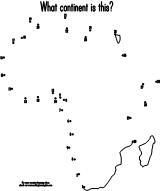 Connect the dots to find the continent. These are available in an easy version and a harder version.